New book, 112 pages. This is the second book in the ‘On the Battlefield’ series dealing with the Soviet Medium Tank T-34. The book provides an overview of the development, production and operational deployment of the T-34 in Soviet service during WW2. It includes details of unit organization within the RKKA, along with the many changes in organization, particularly during the early war years. 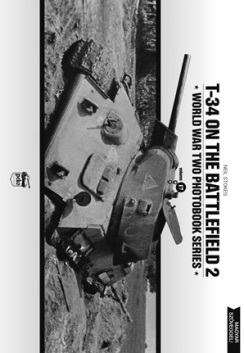 The majority of the book however, is dedicated to captioned wartime photographs of T-34 tanks, many of which are previously unpublished.